Thanks for the submission, Tom and Steve! And nice shirts. 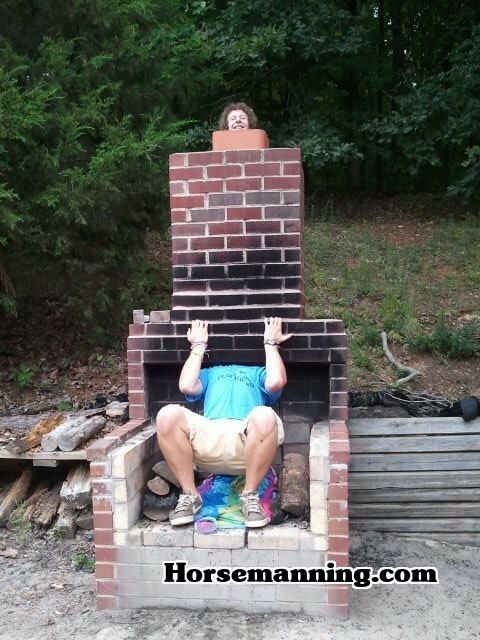 Chimney Horsemanning / Horsemaning. Not bad. 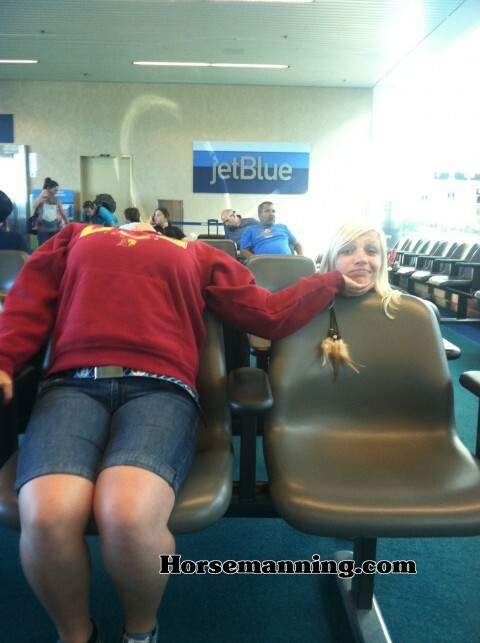 Thanks for the submission, Jordan. 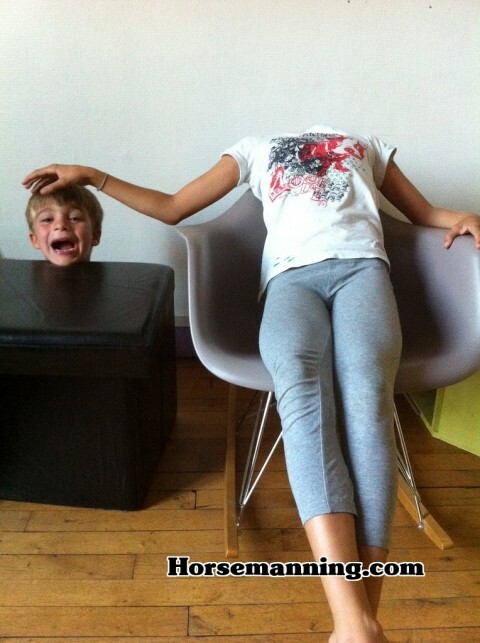 Check out Cécile’s children horsemaning / horsemanning in France. Ouch! 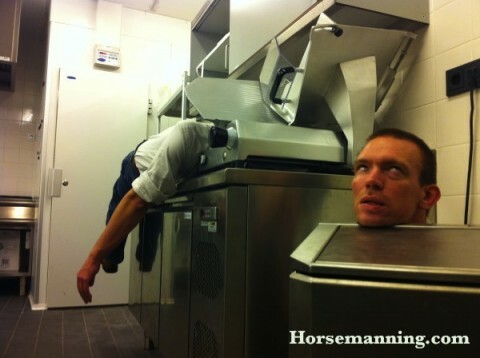 Horsemanning by Silly Girl Design! 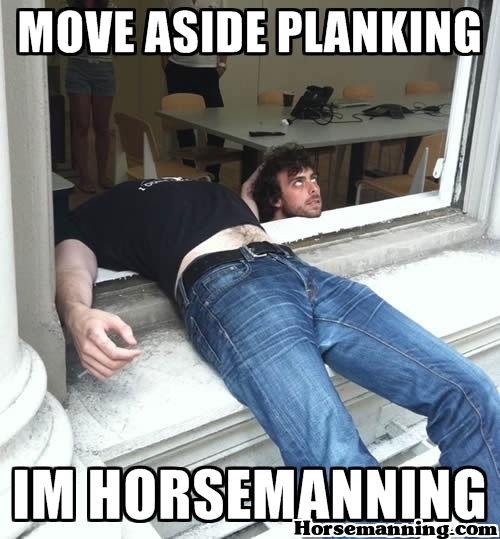 The Official Horsemanning Song by Songs To Wear Pants To ft. Gunnarolla. Check it out by clicking here! 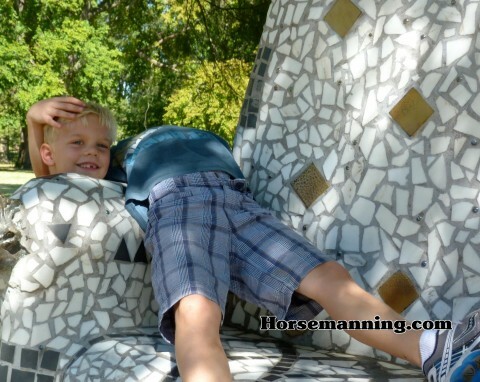 One of the best Horsemanning pictures out there. Thanks, @thelastkakapo! Here is Ashley, horsemanned by cement! 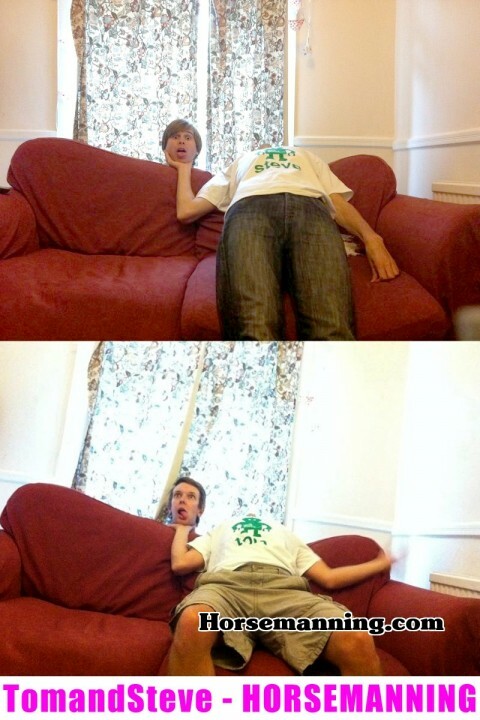 Thanks for the horsemanning submission. 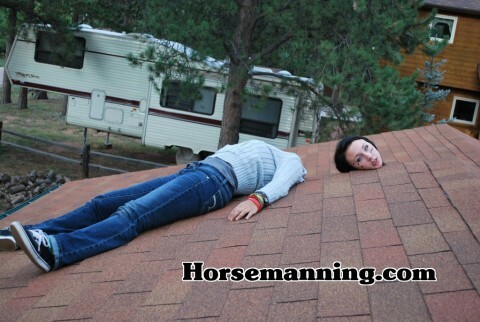 Bri and T’s Horsemanning fun on the roof!